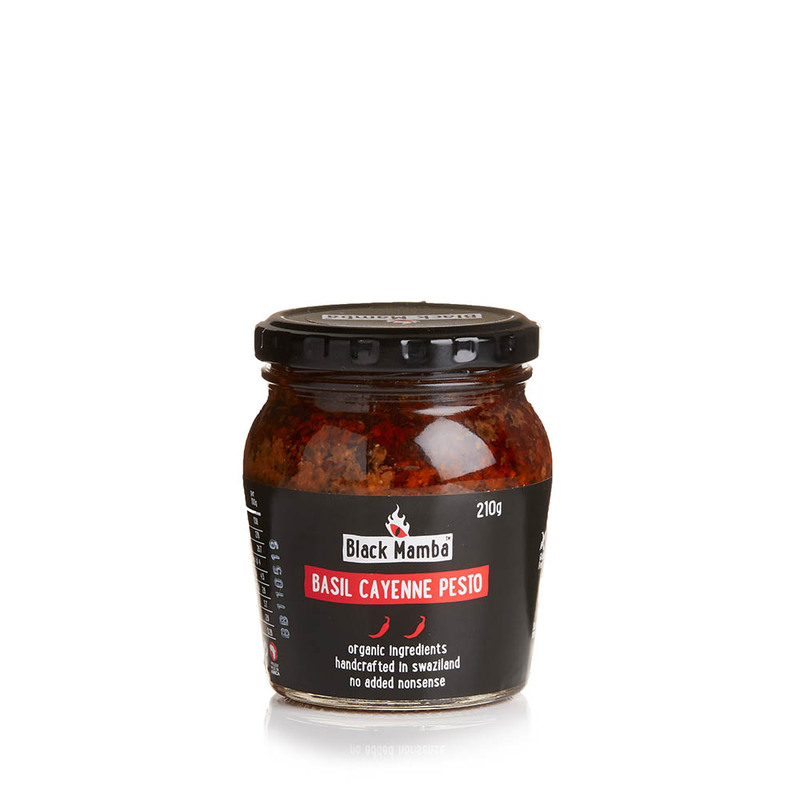 This scrumptious combination of fresh, organic basil, cayenne chilies, African macadamia nuts, and extra virgin olive oil will stimulate your senses with its rich flavors and intense aroma. 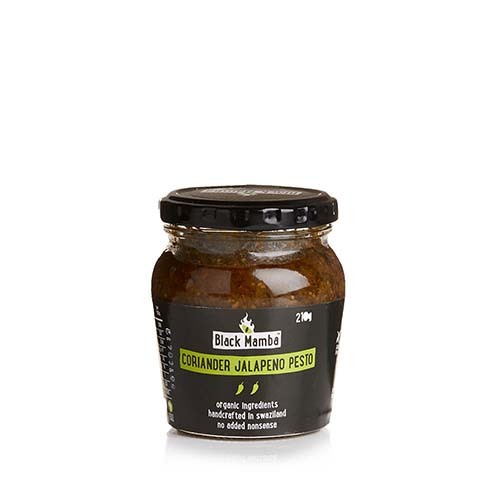 Pair it with pasta and grated parmesan cheese for the perfect dish or top sandwiches and wraps for an explosion of taste. Medium hot. Gluten free. 7.1 oz. 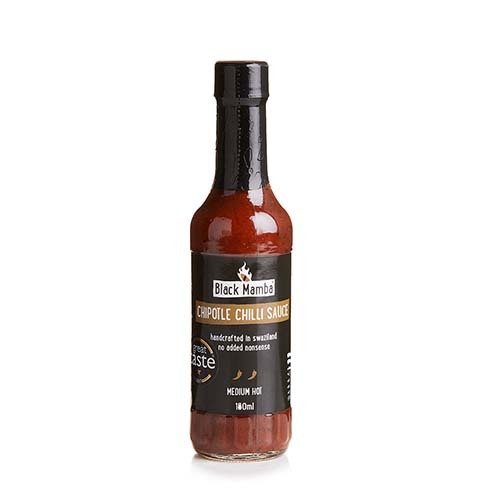 Black Mamba creates spicy fair trade sauces and chutneys made from local, organically grown chilies and other fresh ingredients. 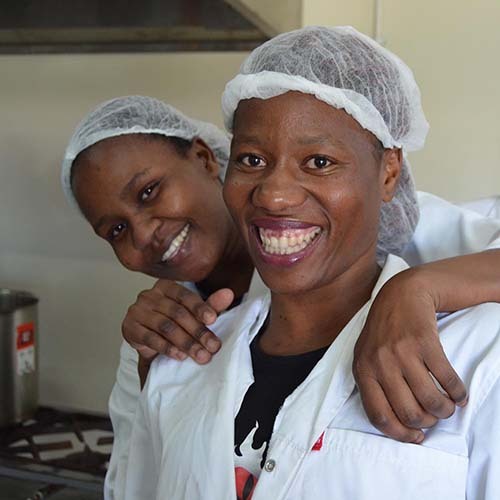 Your purchase supports disadvantaged groups with fair wages—most of whom are "gogos," women supporting grandchildren orphaned by HIV/AIDS.